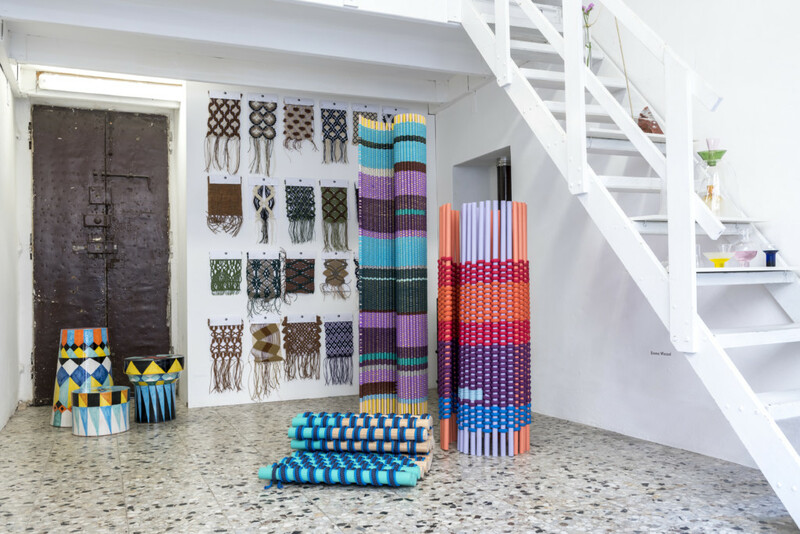 Lets take you back to the Isola design district of Milan where Crafts Council Nederland presented HOW&WOW – cooperazione! during the Salone del Mobile 2018. We presented the workshop of today’s craftsmen through a live performance. In this workshop, six young designers from The Netherlands and Italy worked and learned on the spot. Elif Malkoclar – owner of CRAAFTS – conducted a two-day masterclass where she took the designers on an unforgettable journey in which they discovered exceptional and traditional macramé techniques. Today, six months later, we are presenting the results of this crafts exchange. With work of Agustina Bottoni, Astrid Luglio, Christa van der Meer and Gino Anthonisse (Das Leven Am Haverkmap), Emma Wessel and Sara Ricciardi.